HONEY STOP THE CAR, OUR HOME JUST CAME ON THE MARKET! LOOK HOW CUTE AND COMFY THIS 3 BEDS BUNGALOW SITTING ON A BEAUTIFULLY OVER A QUARTER-ACRE LOT WITH EXTRA LARGE BACK YARD NESTLED UNDER THE OAK TREES IN A SERENE PEACEFUL SETTING PROVIDING LOTS OF PRIVACY WITH NO FRONT NEIGHBORS. THIS AMAZING UPGRADED HOME BOAST UNIQUE CHARACTER WITH ORIGINAL HARD WOOD FLOORS WHICH HAVE BEEN PROFESSIONALLY RESTORED. 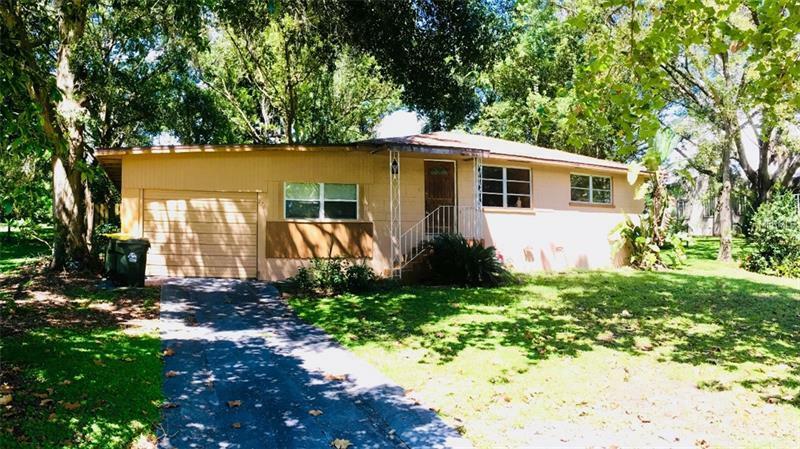 UPDATES INCLUDING A BRAN NEW ROOF IN 2018 AND THE KITCHEN HAS BEEN UPDATED WITH NEW STAINLESS STEEL APPLIANCES, NEW GRANITE COUNTER TOPS, BACK SPLASH, NEW SINK, UPDATED WOOD CABINETS, CROWN MOLDING, PENDANT LIGHTS AND EXTRA LARGE ISLAND. THE DEN WAS COMPLETELY REMODELED WITH TRAVERTINE TILES, CROWN MOLDING, NEW BATH WITH RAIN SHOWER, DECORATIVE LISTELLO AND GRANITE SINK AND MUCH MORE. WITH LOW TAXES AND NO HOA, THIS HOME IS VERY AFFORDABLE TO A FIRST TIME HOME BUYER OR AN INVESTOR. THIS HOME IS LOCATED IN CLERMONT, WHICH IS ONE OF THE FASTEST GROWING CITY OF CENTRAL FLORIDA. JUST FEW MINUTES TO SHOPPING, RESTAURANTS, BANKS, HOSPITAL, GREAT SCHOOLS, AMONG MANY LAKES AND PARKS. EASY ACCESS TO FLORIDA TURNPIKE. CALL TODAY FOR YOUR PRIVATE VIEWING!